So what are we going to wear with all these printed pencil skirts and trousers that we’ve been talking about? The classic white shirt is an obvious option, or maybe a cashmere block colour sweater, but I’m hankering after a smart-ish chambray shirt. 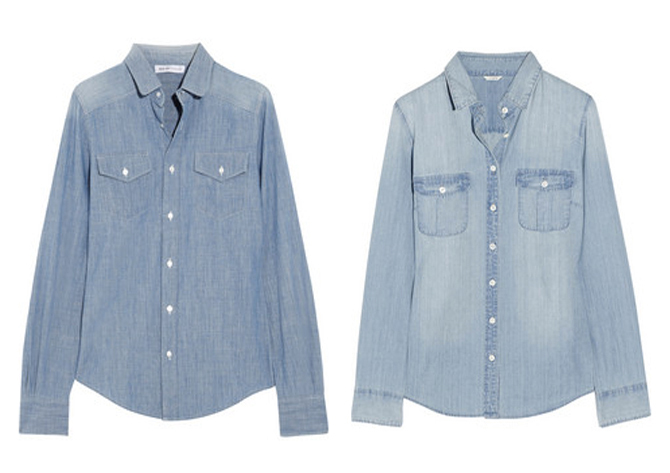 Chambray is a great works-with-everything fabric and it improves with age, a bit like denim. 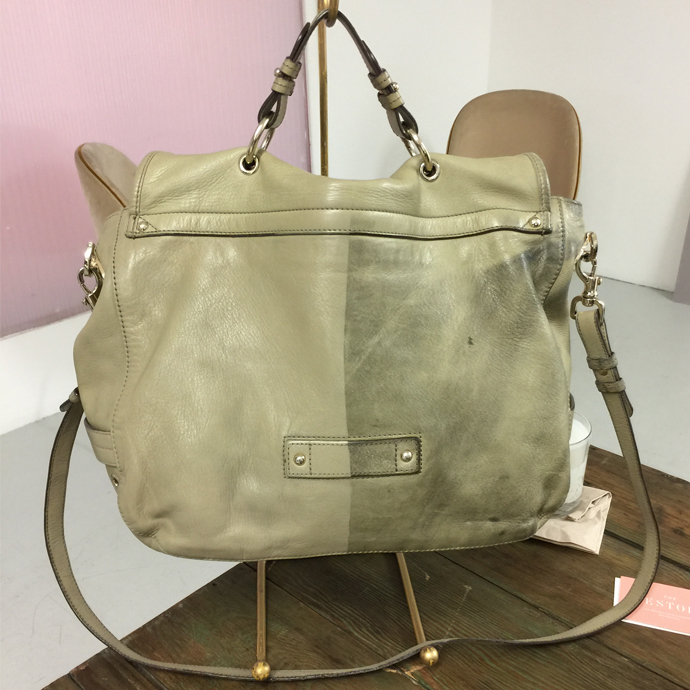 Recently designers have sharpened up the look with crisp material finishes and a more slender fit, moving it far, far away from Jeremy Clarkson territory. 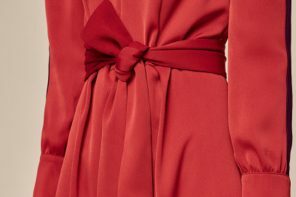 I want one to slot easily into my wardrobe to wear with everything (I had a nice casual shaped Loft one which met a pink towel in the washing machine, the results were nasty). You’d like to think somewhere like Gap would have a good quality chambray number, there’s one in the mens 1969 collection, the fabric has a shiny crispness I love and it’s a shame there’s not a women’s version, perhaps it’s on its way. 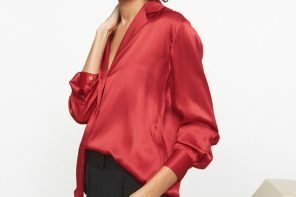 I really love the See by Chloe version above left, from Net-A-Porter, it’s expensive (£195) but it’s a classic and might be worth the investment. 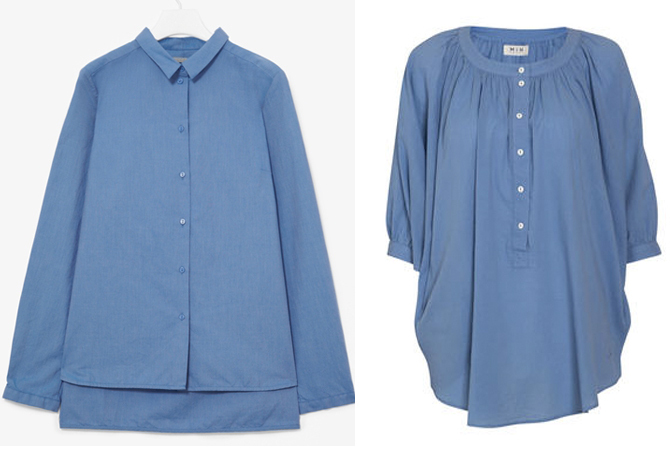 Our current favourite retailer J Crew has the Keeper chambray one, above right, at a better price of £80, which has a slightly more casual vibe going on but would still work well tucked into a printed pencil skirt. Deviating slightly, below is the Marithe et Francois Girbaud half way house chambray jersey jacket that acts like a shirt, i’ve tried this on (for research purposes, obvs) and it’s gorgeous, although expensive at £295. 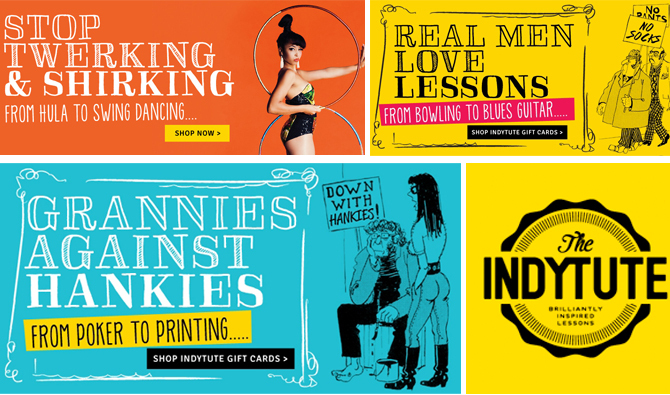 you can buy it (and there’s a nice picture) from Nome de Plume. 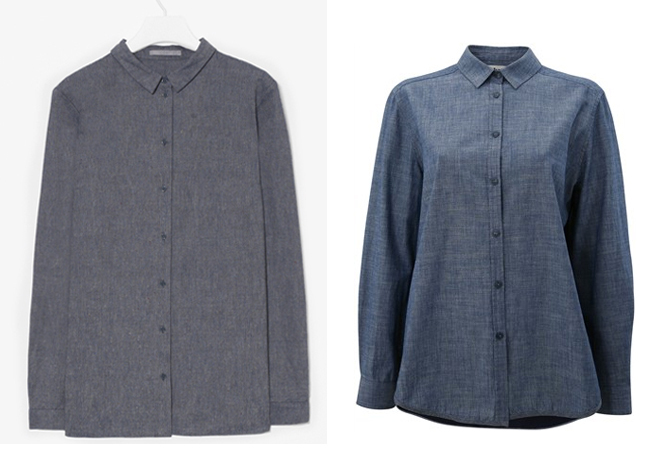 If you think the light chambray looks a bit casual then maybe go for a darker shade, such as the COS dark melange chambray one on the left below at a reasonable £55, or my favourite Bruuns Bazaar one, a hangover from last season with a jersey back and currently in the sale at £45. The lack of front pockets and looser fit on these two make them easy to imagine styled with anything, printed or plain. If the whole chambray idea leaves you feeling a bit weekend-wear, then maybe these two cornflower versions might hit the spot, the blue is gorgeous enough to work with brights, pastels or neutrals, I’d love to see it worn with navy and these two both are designed to be worn over bottoms (so not tucked in) which may suit. The textured cotton one below left, with a hemline higher at the front than the back is from COS at £55 and the fine cotton circle shirt from MIHJeans at Style-Passport (right) even has pockets in the seams, which is always something of a joy. Now if the weather would just warm up a little I might actually feel like buying some spring clothes!